Despite a crime rate in steep decline since 1993, America continues to set the world record for mass incarceration – building more prisons, imposing longer sentences under harsher conditions, eliminating educational opportunities, treating juvenile defenders as adults and diverting ever more funds from social services to penal institutions. The evidence is also overwhelming that ours is a criminal system that disproportionately targets and ensnares young black men, with pernicious long-lasting consequences for their lives as well as for their families and communities. Lillie Branch-Kennedy wishes to the bottom of her heart that she never had to learn all this first-hand. The crack epidemic of the 1980s drove Branch-Kennedy and her husband to leave their Harlem home for a safer environment to raise their two young children in Richmond. Her son Donald excelled in school and gained a scholarship to Virginia State, his grandfather’s alma mater. The summer before his junior year, Donald was arrested as an accessory to robbery and sentenced to 127 years. On appeal, that sentence was reduced to 28 years. Thus began Lillie Branch-Kennedy’s weekly, 16-hour round-trip commute to Wallens Ridge—a new “super-max” state security facility high in the Appalachian Mountains in the southwest corner of the state – and her education in crime and punishment. Wallens Ridge was part of a massive “tough on crime” program launched by then-governor George Allen, which also lengthened sentences and abolished parole. When Virginia could not fill all of its new cells, it imported inmates from over-crowded facilities as far away as Connecticut, Hawaii and the Virgin Islands. Like Branch-Kennedy’s son, many of the inmates spend 23 hours a day locked down in isolation, a practice that is globally recognized as tantamount to torture, and the remaining hour in the sight of a loaded gun. 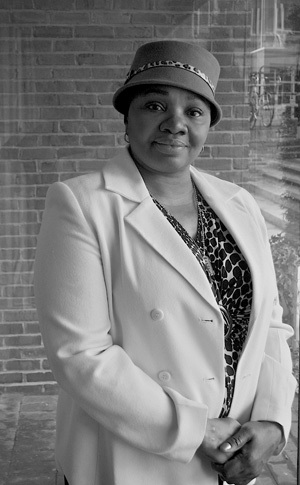 Shocked by the conditions she saw, in 2002 Branch-Kennedy launched Resource Information Help for the Disadvantaged (RIHD) to provide transportation for families of prisoners and organize them to work for change. To date RIHD has assisted more than 1,000 families, holding monthly support meetings and hosting children of incarcerated parents at year-round summer and after-school programs. Branch-Kennedy also cofounded the Community Restoration Campaign to lobby the state legislature for cost-effective, best-practices reform. One look at the legislation Branch-Kennedy is focusing on in the coming session tells the story of how far they have to go. The proposed bills include petitions for restoration of the right to parole and time off for good behavior; voting rights for those who have served their felony sentences; purging of interest charges on fines and court costs for incarcerated defendants; restoration of eligibility to those convicted of drug possession who have complied with court obligations for Temporary Assistance for Needy Families; a separate court to obtain services for those with psychiatric disabilities; and juveniles’ right to appeal trial in adult courts.